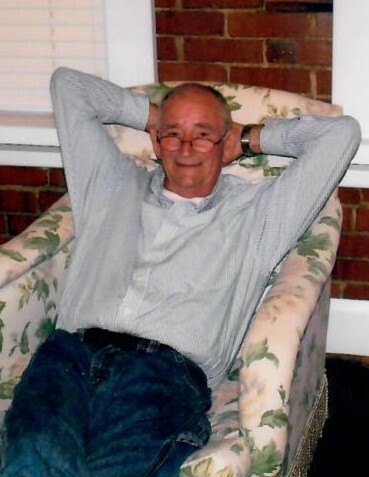 Ronnie Odell Harris of Lewisburg, age 76, born August 8, 1942 died peacefully on August 27, 2018. Ronnie was preceded in death by his father, Robert Howard Harris, mother, Margaret Elizabeth Watson Harris, fraternal grandparents, Robert Elam and Leona Sudberry Harris and maternal grandparents, George and Janie McCord Watson. Ronnie graduated Marshall County High School in 1960. He was a member of the Army National Guard from 1959-1967. He worked at ICP for 35 years and most recently for Marshall County Solid Waste at the Belfast Convenience Center. He is survived by his wife of 28 years, Ann Marie Reusch Harris, daughter Katie (Daniel) Viazcan, sons Richard (Andrea) Warf, Robert (Denise) Warf, and six grandchildren, Sarah, Mary and Harrison Warf, Xavier and Dominic Viazcan and Leah Warf, all of Lewisburg. Ronnie was a devout Catholic and member of St. John's Knights of Columbus. He loved playing golf and gardening. He was a devoted husband and father and his last hours were at home with his family at his side. His huge smile will be cherished forever. He has left us with an everlasting family legacy. Farewell, rest in God's peace. Visitation will be on Thursday, August 30, 2018 at St. John's Catholic Church, 1061 South Ellington Parkway, Lewisburg from 10:00 am until 12:00 noon with Mass said at noon. Pallbearers will be Richard Warf, Robert Warf, Daniel Viazcan, Joe Reusch, Bob Ethridge, and Bill Garrett. Burial will be in the Sunset Park with a reception to follow at St. John's Catholic Church. Bills-McGaugh & Hamilton Funeral Home & Crematory is assisting the family with their arrangments.